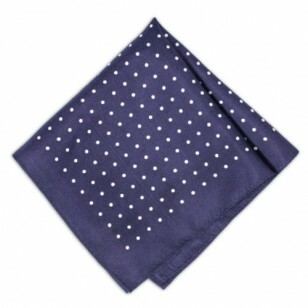 When you’re looking to impress, nothing does it more sweetly than a polka dot pocket square. 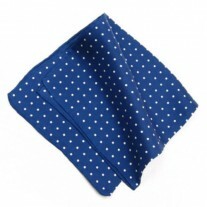 Fox and Luther’s Blue Diamond Handkerchief, should go nowhere near the nose and instead remain firmly for show in any formal or casual setting. 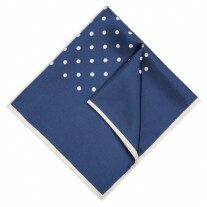 Combining a royal blue background and white polka dots, this piece has been created from the UK’s number one men’s pocket square company, Fox and Luther. 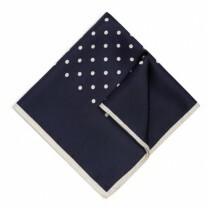 Hand-made with the attention to detail demanded by us fashion fanatics, this captivating piece subtly promotes class and sophistication, when wearing your chosen jacket. Worn best with lighter coloured jackets and shirts, matching this pocket square to your ties, accessories and shirts is supremely easy thanks to its universal and simplistic design.